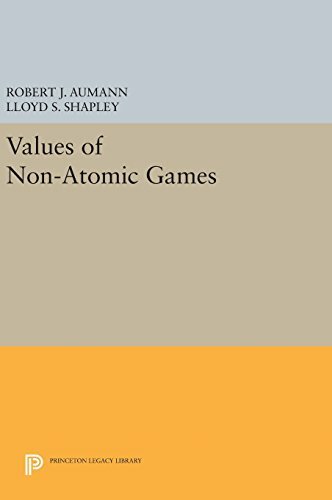 The "Shapley value" of a finite multi- person game associates to each player the amount he should be willing to pay to participate. 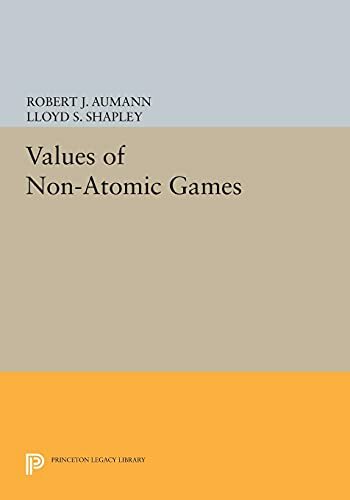 This book extends the value concept to certain classes of non-atomic games, which are infinite-person games in which no individual player has significance. 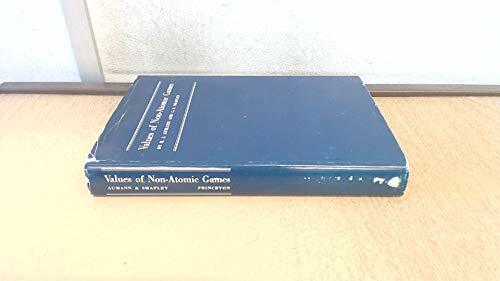 It is primarily a book of mathematics--a study of non-additive set functions and associated linear operators. Originally published in 1974. The Princeton Legacy Library uses the latest print-on-demand technology to again make available previously out-of-print books from the distinguished backlist of Princeton University Press. These editions preserve the original texts of these important books while presenting them in durable paperback and hardcover editions. The goal of the Princeton Legacy Library is to vastly increase access to the rich scholarly heritage found in the thousands of books published by Princeton University Press since its founding in 1905.